One of the most rewarding elements of the new Star Wars canon created under Disney since the company bought Lucasfilm in 2012 is how interconnected everything feels. The Lucasfilm Story Group, in participation with the House of Mouse, has woven plot threads through Star Wars feature films, novels, comic books, video games, and now even theme parks. Over the weekend, the official Star Wars website released an excerpt from the upcoming novel “Star Wars: Thrawn – Alliances” by Timothy Zahn, and eagle-eyed readers were quick to notice a reference to a certain planet currently under construction in both Anaheim and Orlando. Batuu, of course, is the name of the planet Disney theme park guests will be visiting when they step into Star Wars: Galaxy’s Edge next year at both Disneyland Resort in California and Walt Disney World in Florida. Batuu also currently serves as the final destination for trips aboard the famous Star Tours attraction on both coasts, as well. What’s great about this is that “Star Wars: Thrawn – Alliances” will firmly cement Batuu into Star Wars canon well before the new theme park lands open next year. Fans will have the opportunity to read and learn about the planet, its history, and its denizens before being given the chance to visit Batuu itself. It’s a brilliant stroke of intertextuality, not to mention synergy across the many arms of Lucasfilm’s creative departments. 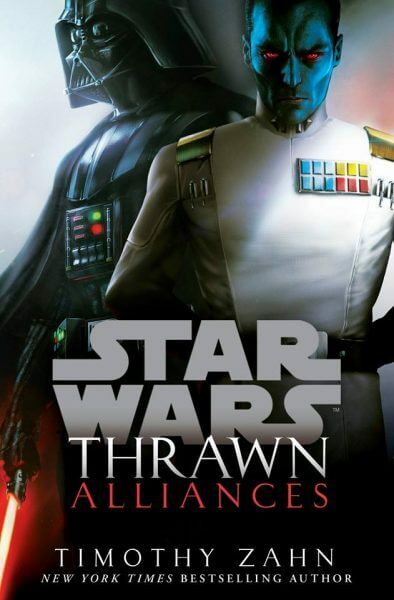 Interestingly, Star Wars: Galaxy’s Edge appears to be set during the time period of the current Star Wars sequel series, while this new “Thrawn” novel takes place between the Star Wars prequels and the original trilogy. How much has Batuu changed over that amount of time, and what dangers will Darth Vader encounter during his mission there? We’ll have to read the novel in order to find out. “Star Wars: Thrawn – Alliances” will be released to retailers on Tuesday, July 24, 2018. Star Wars: Galaxy’s Edge will open sometime in 2019 at Disneyland and Disney’s Hollywood Studios.